For me as with many other people, minimalism is a work in progress. 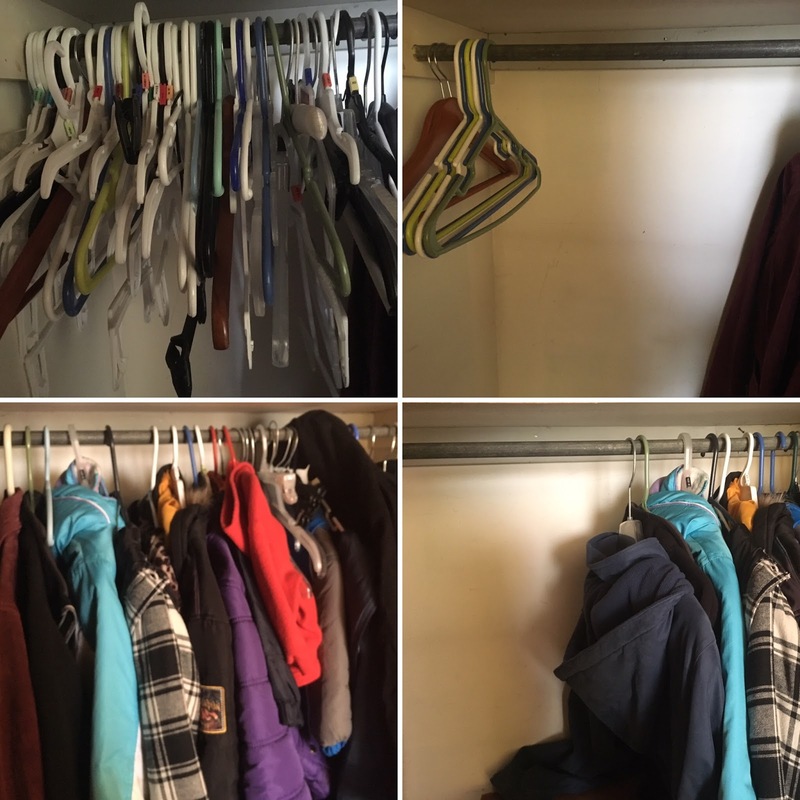 One quick job I did while my littler boys were napping one afternoon was tending to my hall closet. We had a HUGE amount of hangers we'd accumulated from different places that we didn't really need. I sorted through the good sturdy ones and tossed the rest. I also went through our coats and took out the ones the kids had outgrown or that we no longer use. Another day when I had a little more time, I went through my clothes closet in my bedroom. It can be hard to get rid of clothes, especially if you're holding on to them for sentimental reasons or "just in case." I did hold on to a few things but I really significantly cut down on what was in there. I chucked the "some day" clothes - as in, I'm going to wear that SOME DAY when I lose weight - if "some day" ever gets here, I'll celebrate by getting a few new outfits. :) I downsized and thought very intently on when I last wore the item and even enlisted my husband a bit to help me narrow some things down. So now I have two big bags of clothes and shoes to deliver to our local clothes closet ministry!